This June will not only mark nine months until Batman V Superman: Dawn of Justice is released, it will also be the two-year anniversary of Man of Steel, the Superman film that kicked off the DC Cinematic Universe. 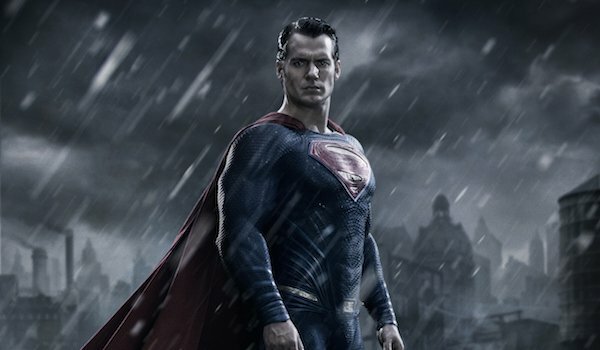 This film gave us a grittier take on the alien Kal-El, a.k.a. Clark Kent (Henry Cavill), who was launched off the dying planet Krypton and raised among humans, only to discover that he was gifted with superpowers like super strength, flight, heat vision and more. Clark was forced to put these powers to work when General Zod (Michael Shannon), a Kryptonian criminal who had also survived Krypton’s destruction, came to Earth looking for Kal-El to reform our planet so it would be a new home for Kryptonians. Clark was able to stop Zod’s plan, but in an act of desperation, he was forced to kill Zod to save lives. This brutal scene is still a heated topic of debate among comic book and film fans, some believing that Superman was right to kill Zod while others believing that it’s against Superman’s nature to take another life (including Mark Waid, who wrote the origin story Superman: Birthright). The shocking moment certainly fits in with the darker tone of Man of Steel compared to past Superman movies. And while the deed is done, fans now are left wondering what kind of impact this killing will have on Superman in future appearances, if any at all. This wasn’t the first time Superman has taken a life (‘cough’ Superman II ‘cough’), but it was definitely the most publicized. In our latest Endings column, we’re examining how the creative talent behind Man of Steel defended this scene, and how it's destined to shape the events of Batman V Superman: Dawn of Justice, as well as the developing DCCU. First, let’s take a closer look at what happened. 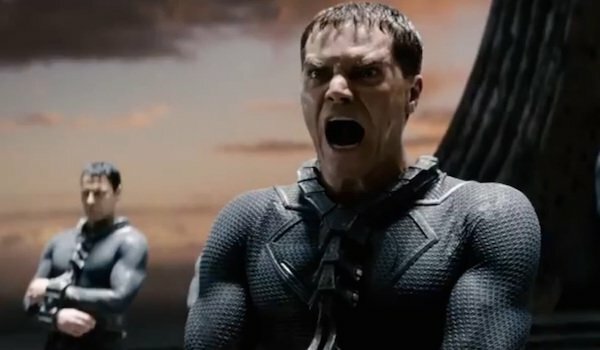 After Clark destroyed General Zod’s terraforming world engine, Zod felt that since his attempts to create a new Krypton failed, the only thing left for him to do was to kill every human being, out of revenge. Thus began an epic brawl between the only two living Kryptonians across Metropolis, which made the property damage in The Avengers look like child’s play. Their battle eventually took them to a subway station, and as Clark held Zod in a chokehold, Zod unleashed his heat vision near an innocent family. As the beams drew closer, Clark begged Zod to stop, but he refused, so Clark was forced to snap the general’s neck. The civilians were saved, but Clark had killed the only remaining member of his species. Struck with grief, he fell to his knees and screamed out in emotional pain. The final minutes of the movie glossed over Clark’s grieving process, and instead had him taking care of business both in his superhero and civilian identities. As Superman, he told General Swanwick that he’s here to help the United States, but it has to be on his own terms. As Clark, he snagged himself a reporter position at the Daily Planet so he can keep an ear out for anything unusual and go to dangerous areas without anyone batting an eye. So not only is Clark’s familiar status quo from the comic books now set up, but the U.S. government is now wondering if the superpowered alien operating on their soil might ever act against its best interests. 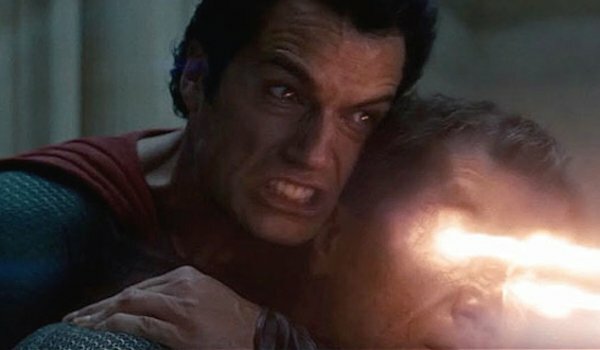 Soon after Man of Steel was released, director Zack Snyder addressed the controversial killing by stating that the act was necessary in order to tell Superman’s origin. With a few exceptions, Superman in the comics (and other media) is against taking another life, but Snyder and company believed that it was necessary to explain what he had this aversion, even when it comes to genocidal maniacs. That’s why the scenario was created where Clark didn’t have a choice. As Snyder says, "Either he's going to see [Metropolis' citizens] chopped in half, or he's gotta do what he's gotta do." Combined with the belief that Zod needed to be killed off regardless of who did the deed, this is why the Man of Steel team took the movie in that direction. In other words, killing someone who is not only equal in power levels but the only other remaining member of your species was a painful necessity to save lives. For those of you who believe that Superman shouldn’t have committed murder, you’re in good company. Producer Christopher Nolan, better known as the director of the Dark Knight trilogy, originally disagreed with Superman killing Zod, but after Snyder and David S. Goyer wrote the scene and gave it to Nolan, he reportedly changed his mind. 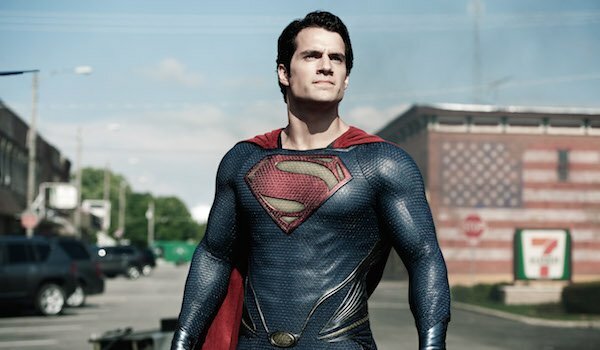 Four months after Man of Steel was released, screenplay writer David S. Goyer also spoke up about the controversial ending, which plenty of people were still talking about. Goyer said that he knew ahead of time the scene was going to be controversial. Like Snyder, he said that they wanted to put Superman in an impossible situation: to save the lives of his adopted species, he would need to kill the only other Kryptonian left. Goyer also pointed out that there was no prison that would be able to hold Zod (the Phantom Zone wasn’t accessible anymore), and since Superman couldn’t fly to the moon at that point, the only option was to kill him so he wouldn’t cause any more destruction. To save what’s left of Metropolis, the Last Son of Krypton had to be judge, jury and executioner. Speaking on the broader issue of Superman’s no-kill rule, Goyer disagreed with other comic book writers that Superman would never take a life, calling it a "rule that exists outside of the narrative," which is true to a degree. Unlike Batman’s no-kill rule, which has essentially been cemented since the 1940s, Superman has permanently eliminated a few enemies here and there over the years, although more often that not writers won’t have him killing anybody. Goyer also compared the grittier take on Superman to the success of the Dark Knight trilogy. With Man of Steel being a Superman Begins-type story, Clark needed to take a life so he would not only deal with that experience for the rest of his life, but also use it to hold himself to a higher standard for the people that look up to him. This gritty tone, which definitely contrasts the lighter feel of the Christopher Reeve films, may end up being set up as the overall tone of the DCCU. 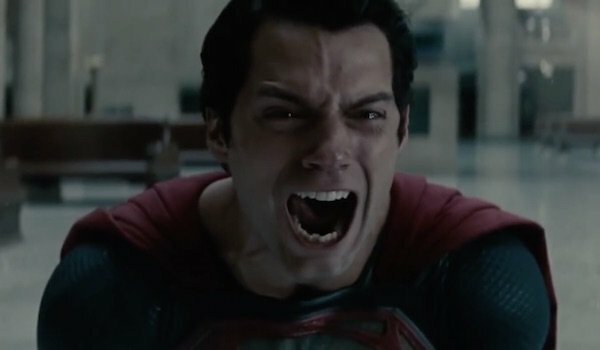 Henry Cavill hasn’t stated what his feelings were about the Zod killing, but he did comment in 2013 on how the events of Man of Steel will shape what Clark is like in Batman V Superman: Dawn of Justice. Now that the alien threat to Earth has been defeated and Clark is no longer alone because he has someone else to share his secret with, we likely won’t see the brooding Clark that we saw for a fair portion of Man of Steel. Cavill speculated that when we meet up with Clark again in 2016, he’ll be more confident and coming into his own. In other words, more reminiscent of the Superman we’ve all grown up with. Look, we could continue debating about whether Clark was right to kill Zod to save lives, or if he should have chosen a third alternative to defeat him, but the fact is that the general is deader than a door nail (assuming those rumors about his corpse are incorrect). The question now is whether killing Zod will drive Clark’s character development, and all signs point to yes. Will Superman never kill again? That’s not a guarantee, especially if he ends up fighting more enemies with equal or greater power levels than him, like Darkseid or Doomsday. At the very least, we can expect that he won’t be snapping any necks or using heat vision on normal Earth criminals. He will stop their crime spree, they will get their time in court, and if proven guilty, they will be sent to prison…and then probably escape, kicking off another round of cat-and-mouse. Regardless, Superman was raised with a good moral compass, and knows that (to steal a quote from a certain web-headed Marvel competitor) with great power comes great responsibility. He has the power to stop bad people from hurting others, but to set an example for humankind, he can’t play judge, jury and executioner again. Of course, just because someone says they’re here to help doesn’t mean you can believe them. There are many who think that Superman’s presence reflects a danger to our planet, most notably, industrialist Lex Luthor and Gotham City vigilante Batman. Admittedly, Batman is likely more concerned about the welfare of his fellow humans, while Luthor is more hate-driven and believes Superman to be a threat to everything he has built. But either way, they’ll be putting plans into effect to deal with the Kryptonian, and in the Caped Crusader’s case, this means temporarily coming to blows with the Man of Steel. There are also many nations around the world who see Superman as a tool for the U.S. government, with China specifically not wanting Superman anywhere near their airspace. It’s ironic they feel this way, because the United States is just as cautious towards Superman. Although General Swanwick’s opinion of him has improved, he hasn’t been able to convince the government that Superman is a force for good. It was reported last year that there will be a scene at the Capitol where Superman has to answer for the damage caused in Metropolis. Half of the city’s citizens believe he’s responsible for the deaths in Man of Steel, since Zod only came here looking for him. So while we probably won’t see Superman killing anybody in Batman V Superman: Dawn of Justice, it will take him longer to convince the world population that he’s not going to one day use his powers to slaughter innocents or take over the planet. He still has work to do to earn that trust. Hopefully the 2016 team-up film, and the full slate of announced DC Comic Book Movies, will be able to accomplish this.